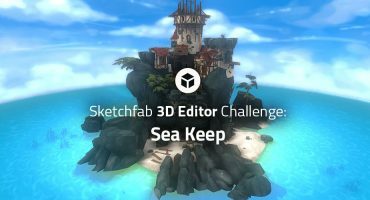 Sketchfab Community Blog - Sketchfast #7 is on! Alright folks, its Friday at noon, and that means its time to reveal the theme for this weekend’s Sketchfast #7 contest. Cancel your weekend plans, get your computers fired up and your favorite modeling software ready to go! As it’s Halloween weekend, we wanted to recognise that while also giving the challenge a unique twist. With that in mind, we are very pleased to announce that the theme for Sketchfast #7 is to model your favorite video game character, wearing a halloween costume! Let your imaginations run wild on this one – we want to see Master Chief wearing a tutu, Link dressed up as Superman…whatever you want! 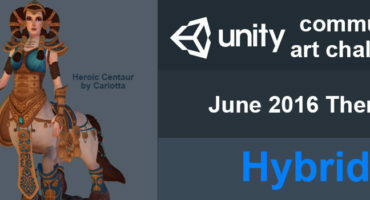 Now we realise that many of you will already have models of video game characters handy, so we ask that for this competition you do everything from scratch. To keep everyone honest, please upload at least 2 WIP’s. Final entries are to be submitted with the tag “sketchfast7,” and models should be game ready. Winners will be voted on by the community next week. model your favorite video game character wearing a halloween costume. Upload 2 WIPs on your Sketchfab account. Upload your final entry with the tag finalsketchfast7 before Monday October 28th noon EST. One final entry per user. If you haven’t done it already, create your free account on sketchfab.com now! For those unfamiliar, Sketchfast’s are our version of a fast modeling contest, and quickly becoming a Sketchfab tradition. We announce a theme at noon on Friday, and you have 72 hours to put out your most awesomest work. We know you’re probably deep into several Halloween competitions already, and we wanted to do something a little different. But don’t worry, in honor of the creepiest weekend of the year it’ll still have a spooky twist. Stay tuned, and we’ll see you on Friday! Jack-o-lantern from nellyb on Sketchfab.